After 46 years of operation, our firm assumed a new layout and began to sign as Scalzilli Althaus. This change, led by partners Veronica Althaus and Marcelo Scalzilli, established the entrepreneurial spirit that defines us and that fosters the connection of our knowledge to the needs of our clients, valuing our background and the reliability that marked our firm’ trajectory in the market. We provide corporate legal advice with a multidisciplinary and integrated service in many practices areas, established in three main fronts: corporate legal advice, corporate litigation and corporate restructuring. Our experienced team ensures depth and complementarity in clients’ service. We firmly believe in the power that knowledge offers when associated with a bold and modern law practice which seeks to find new ways and solutions. We are untiring in the construction of strategies that care for the interests of our clients, starting from a highly customized service. As we are also owners, we can fully understand our client’s business with the clarity and experience needed: the challenges of our client’s become ours as well. Focus on results, search for excellence and the respect on our relationships are the basis of our performance, ever more solid and dynamic, in connection with the constant changes in the corporate and legal market. To look after our clients with the strength of knowledge and experience. Take care of our clients is our mantra: a close, fast and dedicated advising to our clients is our primarily asset and what distinguish our firm. We are untiring: always searching for the best solution for our clients Knowledge and innovation go together: e believe that knowledge mastery is the basis for renewal. We believe that knowledge is the base to renewal. We establish relationships of respect and trust: our business is based on successful relations among people inside and outside the organization. Since Marcelo has started his career. he focused in Labor Law, and was responsible for structuring the labor area in the firm. 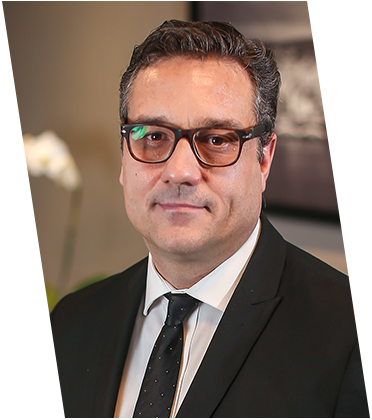 With a Law degree from PUCRS and more than 20 years of experience, he has reached successsfull results for major national and multinational players in the real estate food and beverage, and agribusiness sectors. His work extends to HR management, conflict mediation with labor unions, Regional Labor Departments, and Public Prosecution Office for Labor Issues. He seeks for a deep understanding of the client’s business and a close relationship and partnership. Due to that, he was awarded with two Gold Medal awards from a multinational giant in the food sector. He is the partner in charge of the labor area, coordinating a team of several specialists. Specialist in Corporate Law and Restructuring with more than 15 years of experience, Verônica is the general manager of the firm. With a Law degree from PUCRS and a graduate degree in Business Law, she began her legal career in a large insurance company, where she led the company’s liquidation process, becoming a specialist in crisis management and judicial reorganization. She is responsible for the firm’s strong expansion process in the national market in recent years, and for the consolidation of Scalzilli Althaus’ multidisciplinary offer. She remains active in operations as a strategist in the construction of the best solutions for clients, especially in demands involving corporate litigation, restructuring, and mergers and acquisitions. She is a member of the crisis management boards of some of firms’ clients. 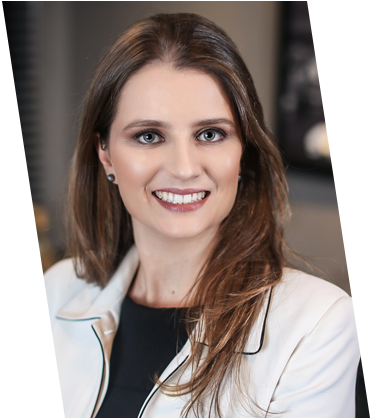 Specialist in Corporate Restructuring, with more than 10 years of experience, Gabriela has a Law degree from Unisinos and an MBA in Business Law. She was the founder and the Vice-President of the Special Committee on Bankruptcy and Judicial Reorganization of the Rio Grande do Sul Bar Association, where she remains as a member. She is a professor at ESPM-Sul in Corporate Crisis Management, Judicial Reorganization, and Bankruptcy courses. 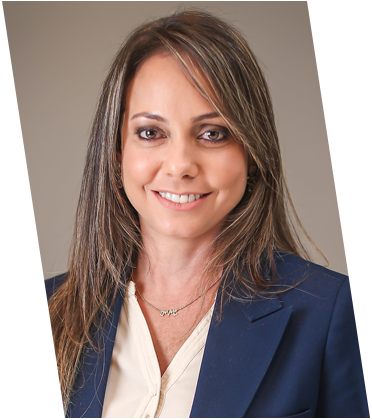 Gabriela lectures in the area of Bankruptcy and Judicial Reorganization and her trajectory is marked by important corporate restructuring cases. She is responsible for innovative legal decisions that impacted in the national scenario. Her work is recognized by her deep technical capacity associated with empathic and extremely committed service. Gabriela is the partner in charge of the Corporate Restructuring area at Scalzilli Althaus. 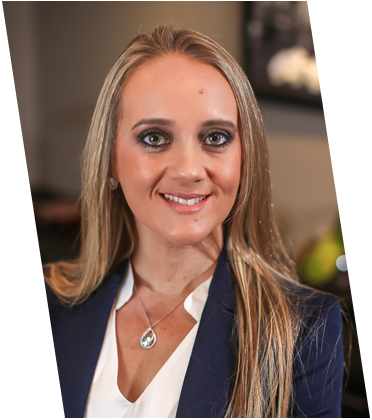 Specialist in Real Estate and Family Law, she holds a degree from PUCRS and a specialization degree in Real Estate Law from Escola Paulista de Direito. Ingrid has been working for more than 10 years focusing on family, real estate, contracts, and civil liability areas. She was a member of AGADIE (Rio Grande do Sul Attorney Association) and the Arbitration Commission of Rio Grande do Sul Bar Association for several years. She lectures on real estate, and also teaches in seminars, workshops, and in-company training. She is at full disposition for the client and always seeking for the best solution. She is in charge of the coordination of the Corporate area, and her trajectory is recognized by important decisions in the real estate area in representing real estate and construction companies. Our team has specialists with solid and extensive practice and relevant experience in their areas of expertise. In addition, they act in a complementary way, ensuring a holistic management of all legal fields for each case. Our partners act directly on the firm’s management and advising our clients, ensuring a high level delivery of the services with strategic impact and seniority. 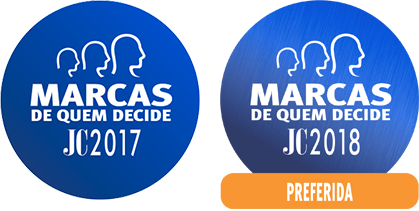 We advise clients throughout Brazil with the excellence that distinguishes our work. We work with a well-trained staff, centrally managed, and who are able to provide a great coverage to defend the interests of our clients in any part of the country, ensuring agility and safety. The firm has a structured service process to ensure security, quality and proximity. Acting independently from the legal teams, our Controllership analyzes the results achieved the procedures, the implementation of new management tools and the performance due to the established goals. All to offer quality service and increasingly specialized legal management. The Controllership is a communication channel open to our clients. For clients with a large volume of demands and who need agility and real-time service, we offer in-company advising, in which our lawyers work in-house. This model enables to deal with the challenges and difficulties of the operation, allowing the personal strengthening, the necessary arrangements on the structures and tools for the operation, and the standardisation of the cultures. Is the legal knowledge acting as a management tool. According to the client’s demand, we propose to carry out regular meetings, bringing together the decision body of the company and the legal practices areas involved, always focusing on the prevention and advisory aimed to ensure security and protection to the business. Information regarding the development of administrative and judicial cases are consolidated in a full report, that is friendly to read and understand. This report is sent every 45 days to our clients. Moreover, we count on CPJ-WEB, a tool that provides real-time procedural information for the global follow-up of the processes and the daily status of each lawsuit. The access to the information is done by means of an individual password, in order to protect the security of the information. This task seeks to analyze all existing lawsuits of the company, by checking the amounts, properties, and assets involved. Therefore, it is possible to verify the legal and financial risk level in order to provide resources for future fiscal year, as well as to aid on strategic decision taking. Periodically, we take an immersion in our client’s market sector to deepen the knowledge in its business. We follow-up every news of the market sector of our client, in order to be always up-to-date on the applicability of the best legal measure. We act in alignment with the most respected and modern business management practices, with structured processes and policies to guarantee professionalism, organization, and excellence when representing our clients. We have a strict compliance policy that aims to strengthen principles of ethics and integrity in our representation. The policy guides our professionals and employees regarding internal controls, ethical parameters and standards, and transparency and efficiency in legal operations. Always attentive to the constant research that involves the protection of the environment, we routinely promote socio-environmental responsibility actions with the intention of developing awareness and engagement among our professionals. Our actions seek to generally strengthen communication and cooperation with the community in which we are inserted. We invest in the development of our team by exchanging knowledge and recognition. Within this vision, we maintain several programs focused on the excellence of the team. Through the Scalzilli Althaus Corporate University, we offer periodic training courses for staff in various areas of Law. The Knowledge Miles program aims to stimulate the search and dissemination of knowledge among teams of lawyers, clients, and the market in general. Through the program, lawyers who stand out in the production of qualified content in their area of expertise are awarded prizes. With the Cycle of Exchanges, we promote the sharing of knowledge and experience among the teams on a constant basis. Also, we have an auditorium at headquarters to conduct all development activities. Most remembered brand in the Law Office category.